This challenge starts on January 1, 2019, and ends December 28, 2019. You can’t use the same drama/movie multiple time. Each drama/movie can only be used once in this challenge. You can't include dramas/movies you watched previously. All dramas/movies must be started during the challenge period. Don't discuss anything in this thread. Just post you sign-up forum and turn-in forums. 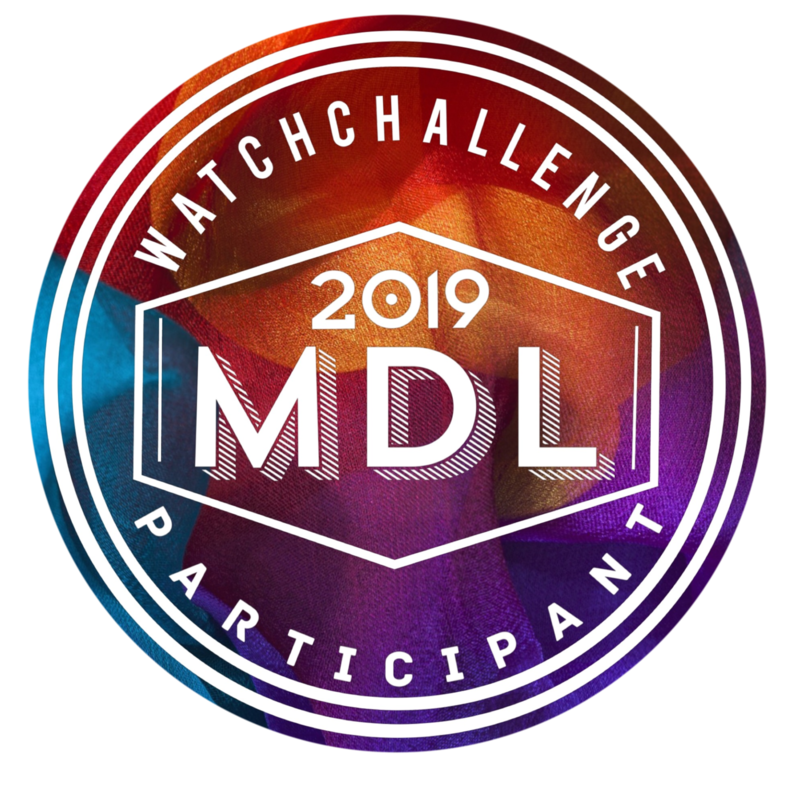 If you want to discuss this challenge use 2019 Watch Challenge Discussion thread. Don't keep posting updates on the thread, just edit your original post. You should only have 2 posts; the sign-up form and the turn-in form. When you finish a drama/movie add the title next to the selected challenge. Can I add something I started watching in 2018 but is still ongoing? No, only add things started during the challenge period. I don't have a favorite actor, director, or screenwriter. What can I do? Go to your favorite drama/movie and see who is the actor, director, or screenwriter and watch one of their other works. Is the Challenge for Korean dramas/movies only? No, you can watch dramas/movies from any country listed on MDL. Can any award be chosen for the award-winning challenge? Yes, any awards work. SBS, KBS, MBC, Baeksang, etc. Can I list several dramas/movies for each challenge (Example: Watch a drama/movie adapted from a novel)? No, only 1 will be counted. So, choose one (either drama or movies) and use it for the challenge. I will only count the first title. Only a few titles are listed in the links you provided? I added links to tags to make things easier for you, however, you don't necessarily need to use it. Moreover, not everything is tagged, so only a few things would show up. Hopefully, as we doing the challenge, we help each other and add tags to dramas/movies we watched. Can you provide the code so I can copy it and keep the same format? Unfortunately, copying and pasting codes in the forum is disabled. Sorry about that, nothing I can do. You can ask the admins to add the ability if you want. Can I re-watch titles instead of watching new dramas/movies? If I watch a title that had less than 1000 users (for the less than 1000 user challenge), but during the span of the challenge the number increased, does it count? It is okay. Just add the number of users when you watched it next to the title and I'll know that the number went up after you watched it. Why does this challenge end on December 28, 2019? Because I need time to check all the users who finished the challenge and make the 2020 challenge. Also, I want to spend time with my family. Where can I find films that are 3-hours long? You can post those on your profile and add a link to your challenge post, just like I did on my profile. If someone makes a badge or banner for this challenge, I will post it here. ( ) Watch a web series. ( ) Watch a completed variety show. ( ) Watch an award-winning drama/movie. ( ) Watch a drama/movie from an award-winning director. ( ) Watch a drama/movie from an award-winning screenwriter. ( ) Watch a drama/movie from an award-winning actor. ( ) Watch a drama/movie from an award-winning actress. ( ) Watch a drama/movie that has one of your favorite actors. ( ) Watch a drama/movie that has one of your favorite actresses. ( ) Watch a drama/movie by the same director as one of your favorites drama/movie. ( ) Watch a drama/movie by the same writer as one of your favorites drama/movie. ( ) Watch a drama/movie that began airing/premiered this year. ( ) Watch a drama/movie that started airing the same year the user above/below you joined MDL. ( ) Watch a drama/movie that started airing the same year you joined MDL. ( ) Watch a drama/movie from the 1970s. ( ) Watch a drama/movie from the 1980s. ( ) Watch a drama/movie from the 1990s. ( ) Watch a drama/movie which began airing/premiered between 2000 to 2005. ( ) Watch a drama/movie which began airing/premiered between 2006 to 2010. ( ) Watch a drama/movie which began airing/premiered between 2011 to 2015. ( ) Watch a drama/movie with students or children as the main cast. ( ) Watch a drama/movie with adults as the main cast. ( ) Watch a drama/movie that focuses on non-romantic relationships. ( ) Watch a drama/movie that focuses on a couple with a romantic relationship. ( ) Watch a drama/movie with a non-human main character. ( ) Watch a drama/movie about Food, Music, Art, or Animals. ( ) Watch a drama/movie about School, Life, or Youth. ( ) Watch a Historical, Political, War, or Military drama/movie. ( ) Watch a Sci-Fi, Fantasy, or Supernatural drama/movie. ( ) Watch a Horror, Vampire, or Zombie drama/movie. ( ) Watch a Mystery, Thriller, or Psychological drama/movie. ( ) Watch a Crime, Investigation, or Detective drama/movie. ( ) Watch a Sports or Martial Arts drama/movie. ( ) Watch a Tokusatsu or Wuxia drama/movie. ( ) Watch a Medical or a drama/movie that focuses on doctors, surgeons, or nurses. ( ) Watch a Law or Business drama/movie. ( ) Watch a Documentary, autobiography, or biographical drama/movie. ( ) Watch a Comedy drama/movie or a sitcom. ( ) Watch a Mature (or sexual content), LGBT (Gay, Lesbian, transgender), or any 18+ drama/movie. ( ) Watch a drama/movie that combines one of your favorite and least favorite genres. ( ) Watch a drama/movie tagged with 5 or more genres. ( ) Watch a drama/movie adapted from a novel. ( ) Watch a drama/movie adapted from a manga. ( ) Watch a drama/movie adapted from a manhwa. ( ) Watch a drama/movie adapted from a manhua. ( ) Watch a drama/movie adapted from a webtoon. ( ) Watch a drama/movie with a score of 7.0 or below. ( ) Watch a drama/movie ranked more than 2000. ( ) Watch a drama/movie with less than 1000 completed members. ( ) Watch a completed drama/movie that hasn't been reviewed. ( ) Watch a drama/movie that was recently discussed in the Show & Movie Discussions sub-forum. ( ) Watch a drama/movie that another user has watched for this challenge. ( ) Watch a drama/movie that was recently reviewed. ( ) Watch a drama/movie that was recently recommended. ( ) Watch a drama/movie that has been on your "Plan to Watch" list for too long. ( ) Watch a drama/movie that is on your plan to watch list, but has the oldest release date. ( ) Watch the 1st season of a drama/movie that has 2 or more seasons/squeals. ( ) Watch a drama/movie that is related (e.g. sequel, side story) to something you previously watched. ( ) Watch a drama/movie that has been remade. ( ) Watch a drama/movie from a country you least watched from. Once all chooses challenges are done, copy and paste this form into a new reply to this thread. (Amagi Goe ) Watch a drama special. (Majo no Jouken ) Watch a drama/movie from the 1990s. (Oresama ) Watch a drama/movie which began airing/premiered between 2000 to 2005. (Kakegurui ) Watch a drama/movie with students or children as the main cast. (Crying Out Love, In the Center of the World ) Watch a drama/movie with adults as the main cast. (Rainbow Days ) Watch a drama/movie that focuses on non-romantic relationships. (Ikemen Desu Ne ) Watch a drama/movie that focuses on a couple with a romantic relationship. (Q10 ) Watch a drama/movie with a non-human main character. ( You and Me ) Watch a drama/movie about Food, Music, Art, or Animals. ( Tantei Gakuen Q ) Watch a drama/movie about School, Life, or Youth. (Merry Christmas Mr Lawrence ) Watch a Historical, Political, War, or Military drama/movie. ( High and Low ) Watch a Mystery, Thriller, or Psychological drama/movie. (Signal: Choki Mikaiketsu Jiken Sosahan ) Watch a Crime, Investigation, or Detective drama/movie. ( ) Watch a Medical or a drama/movie that focuses on doctors or nurses. (Kakera: A Piece of Our Life ) Watch a Mature, LGBT, or 18+ drama/movie. (Anego ) Watch a drama/movie that combines one of your favorite and least favorite genres. ( The Count of Monte-Cristo: Great Revenge ) Watch a drama/movie adapted from a novel. (Rurouni Kenshin ) Watch a drama/movie adapted from a manga. ( Le Grand Chef) Watch a drama/movie adapted from a manhwa. (Black Mask ) Watch a drama/movie adapted from a manhua. (Orange Marmalade ) Watch a drama/movie adapted from a webtoon. (Xmas Nante Daikirai ) Watch a drama/movie with a score of 7.0 or below. (Mei-chan no Shitsuji ) Watch a drama/movie ranked more than 2000. (Princess from the Moon ) Watch a completed drama/movie that hasn't been reviewed. ( The Last Princess ) Watch a drama/movie that has been on your "Plan to Watch" list for too long. ( ) Watch a Medical or a drama/movie that focuses on doctors, surgeons, nurses. (✘) Watch a drama/movie adapted from a manga: Juhan Shuttai! ( ) Watch a Horror, Vampire, or Zombiedrama/movie. ( ) Watch a drama/movie ranked in the Top 300. (✔︎) Watch a completed variety show. (✔︎) Watch a web series. EXO Next Door. () Watch a drama/movie that combines one of your favorite and least favorite genres. Korean Actor/Actress That You Despise? Give it a second chance!